Jake Hawkins is your everyday sixteen-year-old. He plays rugby, goes to school, and does a bit of kickboxing. That is, until he is kicked out of home by his hostile father and attacked by a pair of slayers — pale, bald humans infected with an irreversible virus. It takes an ex-Delta Force squad, led by a man named Wolfe, to save him from certain death. 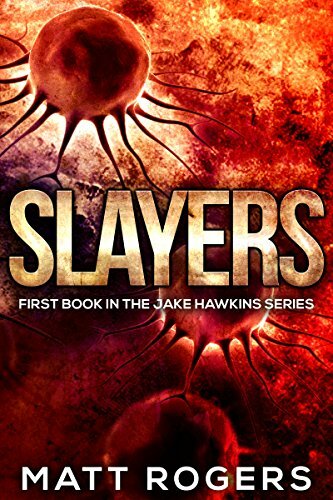 With no home to return to, Jake decides to join the squad and their operation to eradicate the creatures. However, when Wolfe is ruthlessly kidnapped by the slayers’ mysterious leader, Jake is forced to embark on a chase that ranges from the jungles of the Amazon Rainforest to the streets of Washington, D.C. Forced to adapt or die, he barely has time to draw breath as he races from one battle to another, fighting for survival at every turn. Along the way, he discovers a long-hidden secret about his past that will impact him for the rest of his life.